Linda passed away Thursday, November 15, 2018, at her home. Mrs. Mario was born April 23, 1920, in Allegan, Michigan, to Ira and Verna (Platt) Morris. On January 6, 1940, she married Anthony “Tony” Mario, who preceded her in death in 2011. In 1974 Linda and Tony moved from Otsego to Pine Lake, where she loved spending time with her family. For over 25 years, Linda owned and operated the Mario Beauty Salon, along with her sister-in-law, retiring in 1971. After their retirement, Linda and Tony began wintering in Florida. She is survived by her children: Brenda Neupert of Belleville, Sally (Bill) Pallett of Plainwell, and Tom (Nancy) Mario of California; her grandchildren: Jody (Bruce) Gielinski, Jill Hammond, Cheryl (Gordon) VanderPloeg, Chris (Jackie) Pallett, and Tim (Tammy) Pallett; her great-grandchildren: Phillip and Alyse Hammond, Carter (Jillian) and Carlee Pallett and Cassie Pallett; and many nieces and nephews. She was preceded in death by her husband Tony, an infant son Anthony Thomas Mario, and her son-in-law Phillip Neupert. In keeping with her wishes cremation has taken place. A Memorial Mass will be held at 10:30 A.M., Saturday, June 8, 2019 at St. Margaret Catholic Church with Rev. Fr. Simon Manjooran officiating. Burial of ashes will follow at St. Margaret Catholic Cemetery. 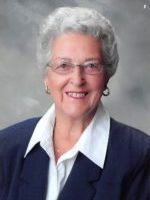 Contributions in memory of Linda may be made to Arbor Hospice.